Now owned and operated by Berniece Lee's son - Craig. 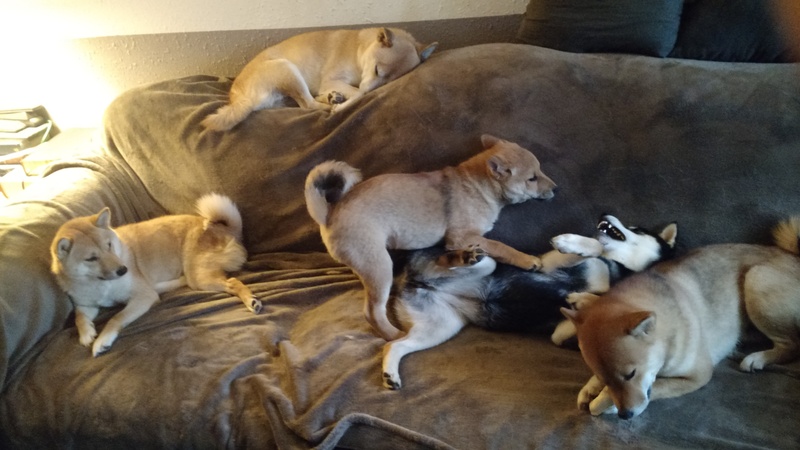 His Shibas are AKC registered Pure breed and meet the standards of the American Kennel Club as does his breeding program. Health certificates, OFA Cert., regular Vet. visits, and good DNA. None of my dogs have any health issues. I do my best to socialize every puppy drawing out the best in their personality, my puppies are just so CUTE AND LOVABLE! All of my puppies are house raised. I do not run a Kennel. All my dogs and puppies are raised and live in the home (not chained up, or in small runs). We breed every other heat to maintian health and quality, no more than 4 litters available per year. My puppies are hand raised, handled, and loved everyday and I have live camera feed for buyers. They get lots of attention because: I LOVE PUPPIES! I will ask you questions: about your home, yard, other pets, small children, and the time you have for a new best friend. If you have any questions,about my dogs, breeding program, Pedegree's or health certificates, please feel free to contact me. I need to know you are going to do your best to give my puppies a good home and a wonderful life. Price $1400 includes Vet. health certificate, first shots & de-wormer, and AKC papers.